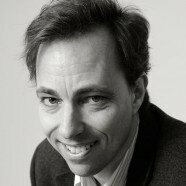 Professor Hans Petter Langtangen was awarded the Olav Thon Foundation prize for excellence in education 2016. 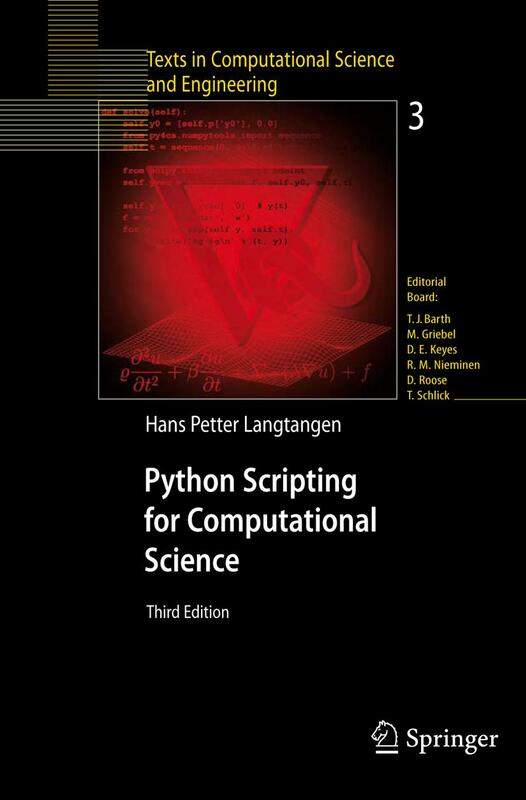 He is a world-leading pioneer introducing python scripting in science education, and his book Python Scripting for Computational Science (Springer) was quickly sold out when it was released in 2003, and the new edition is still on the best-selling lists. The price was awarded for his work on modernizing the education at the Faculty of Mathematics and Natural Sciences, University of Oslo. Traditionally, science courses with much use of mathematical models applied pen and paper techniques to solve the mathematical problems. This is still so in most courses in the world. However, Langtangen wanted the students to solve mathematical problems through programming from day 1, because this is the way one does mathematics today in industry and research. In 1999 he started a course at UiO with the aim of teaching scripting and automation in science, and the course notes evolved into the book in 2003, placing UiO in the forefront when it comes to computation in science education. Langtangen has educated over 1000 people in Python, both scientists and administrative software developers. When he started in 1999, Python was hardly used at all in Norwegian industry, now it is commonly used. And by “Python” Langtangen mean much more than the language, it’s the way of working: automating manual operations for reliability, being more effective, seeing new ways to do things. 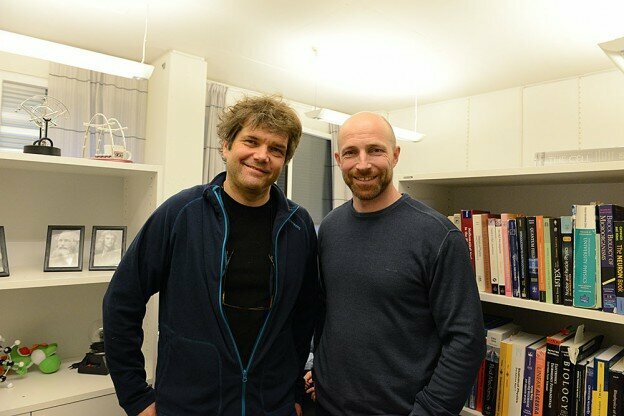 Langtangen is director of the Center for Biomedical Computing, a Norwegian Center of Excellence 2007-2017 at the Simula Research Laboratory. This is the second time this price is awarded to a CINPLA member. This entry was posted in Awards, Featured on 01/14/2016 by Simen Tennø. The project aims to make computational models that gives us a better understanding of the link between the biophysical activity of neurons and what people measure with EEG electrodes on the outside of the brain. Read more about the project (in Norwegian) on the web pages at Dept of Physics. This entry was posted in Featured, grant, Media on 12/10/2015 by Torkel Hafting. 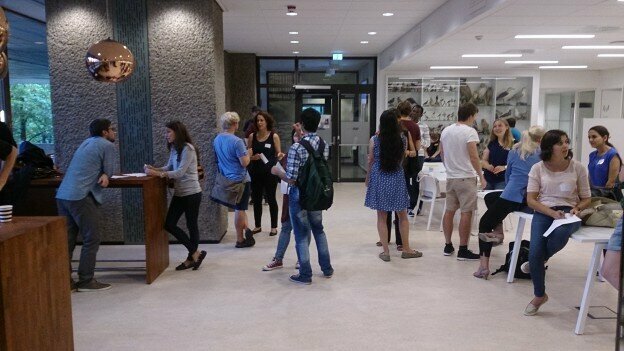 Kristian Lensjø from Hafting-Fyhn lab won the poster competition at the 3rd National PhD Conference in Neuroscience, hosted by the Norwegian Research School in Neuroscience. With the price comes 6000 NOK, to be used for any purpose that promotes the recipient’s research training. This entry was posted in Awards, conferences, Featured on 10/12/2015 by Milad Mobarhan. The Norwegian Research Council launched a new strategic initiative entitled “Digital Life – Convergence for Innovation” this year, and Marianne Fyhn is leading the consortium: DigiBrain: From genes to brain function in health and disease. The primary objective of DigiBrain is to establish a pipeline for linking genetic information to systems-level measures of brain behaviour by means of multiscale computational modeling and targeted experimental animal studies at the levels of neuron, neural networks and systems. Further, DigiBrain will in collaboration with pharmaceutical and medical technology companies, prominent international research environments, explore new and innovative ways for drugs discovery by use of the multiscale computational model. This entry was posted in Featured, grant on 09/30/2015 by Torkel Hafting. With fierce competition from about 160 other projects, our PhD students was awarded the prize for their development of science-education apps. 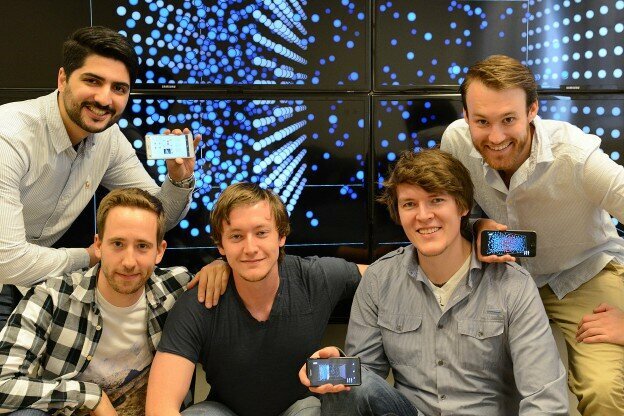 In addition to apps for molecular dynamics and waves the team have developed an app to illustrate and understand how nerve cells interact and function in a network. These types of networks are believed to form the basic structures of complex phenomenons observed in the mammalian brain. Together with Inven2 they are now working to further develop their concept. A screenshot of Neuronify – the nerve cell app. This entry was posted in Awards, Featured on 06/11/2015 by Torkel Hafting. 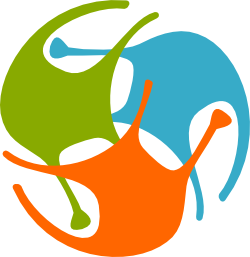 CINPLA has now become a member of Open Source Brain initiative, which is a resource for sharing and developing computational models of neural systems. Visit our group page here. This entry was posted in Featured on 04/09/2015 by Milad Mobarhan.